So this week it was another friends birthday….the lovely Marielle! 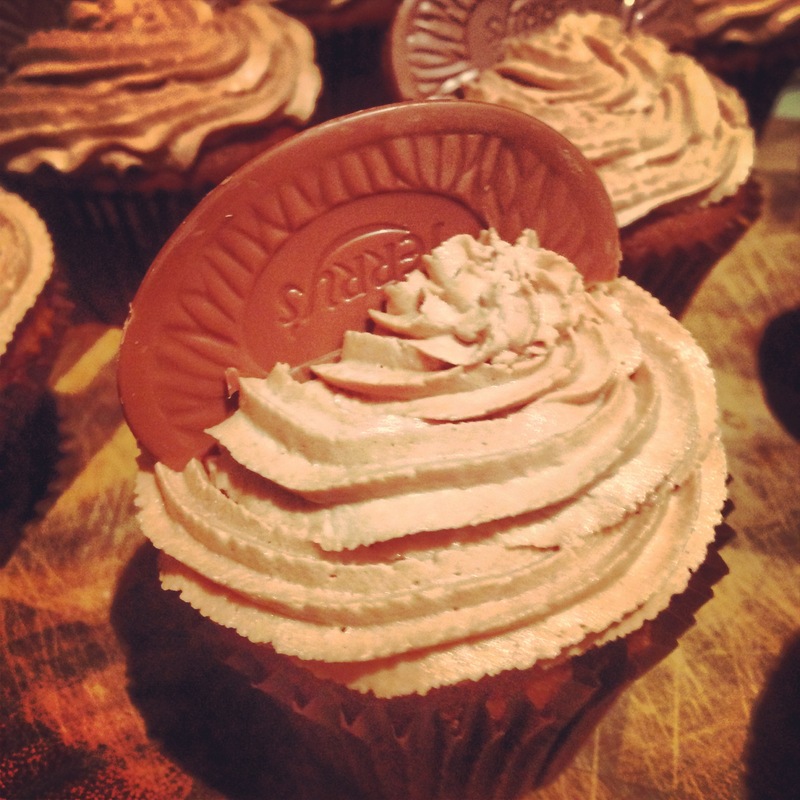 I dont know many people that dont rate a good old Terry’s Chocolate Orange so I decided to try and mastermind some cupcakes for her based around a classic treat! 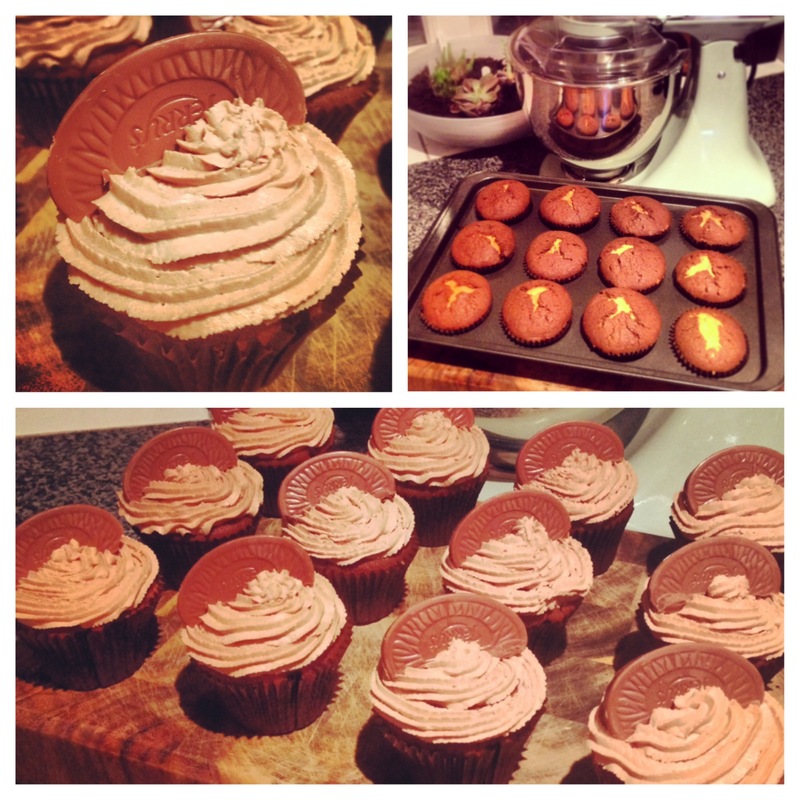 These are a little different as 3 layers make up the cupcake; 2 chocolate and 1 orange so a little patience is needed! I’d never made these before so I was taking a bit of a risk as I decided to adapt another recipe that I use to make a big chocolate & orange marble cake….anyway……here goes! 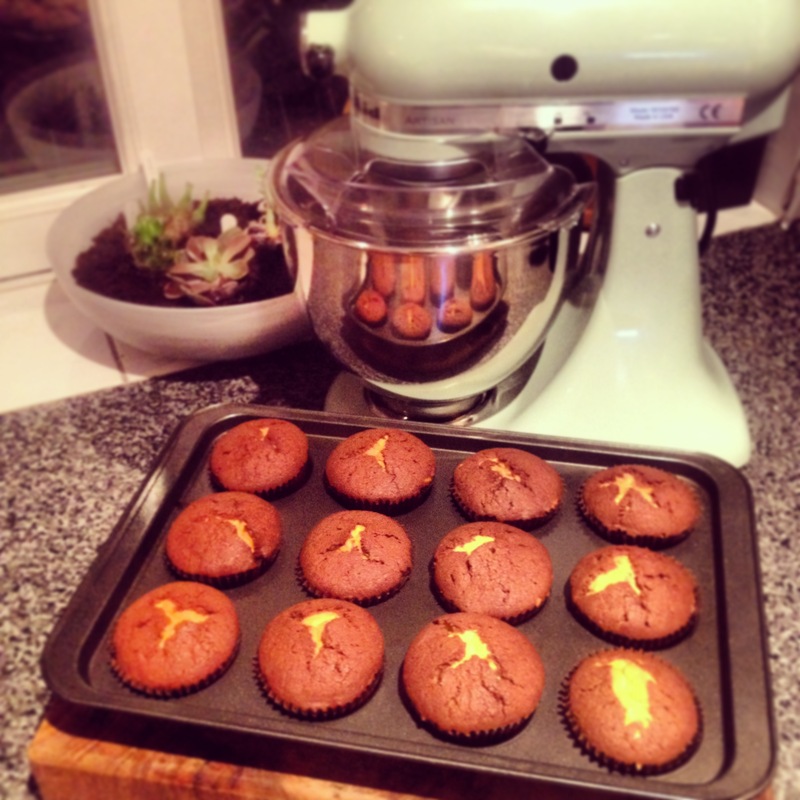 Tip: Mix for a good 5 minutes – this is what makes the cupcakes big and fluffy! Tip: You can weigh them if you want to make super sure they are the same. Tip: You could also add a small amount of orange food colouring to give it the extra wow factor when eaten! 9. Take two spoons and alternate dollops of chocolate and orange mixture into the muffin cases – I did 1 tablespoon full of chocolate, followed by 1 tablespoon full of orange and then 1 more of chocolate again on top. Remember: Your muffin cases want to be filled about 2/3rds full (or just a little over) so try not to under or over fill! 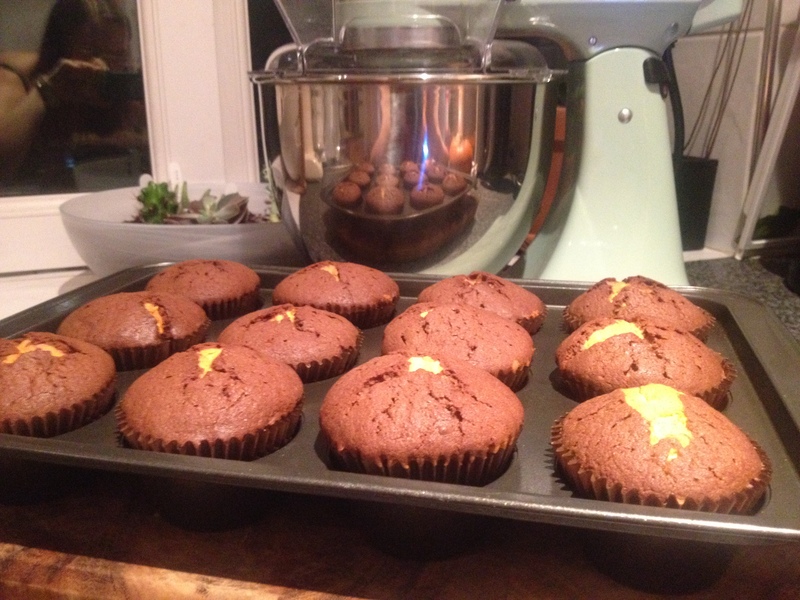 Tip: Looking back it might have been easier and quicker to put the mixture into 2 piping bags and piped the muffin cases…. 11. Your cupcakes are ready when the skewer can be inserted into the cake and it come out clean. Remove the cakes from the oven and leave to cool for around an hour. Tip: Dont worry if they seem to take a little longer in the oven! This entry was posted in Cupcakes and tagged Buttercream, Chocolate, chocolate orange, Cupcake, Icing, layer cake, Orange, orange extract, orange rind, piping, Terry's Chocolate Orange by stephandpenny. Bookmark the permalink.